Refer to Step 6: Prepare Youth to Visit in the curriculum for information that will help youth begin, conduct, and end their visit, including how to communicate with senior adults as well as people with different medical conditions. How they make their presence known to the person they are visiting. How they present their animal. How they communicate with the person depending on the person’s abilities. 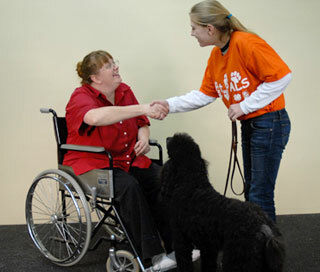 What type of interaction they, their pets, and the person visited have. How to end their visit. Following the visit they need to make sure their animals have the chance to go to the bathroom and to relax. 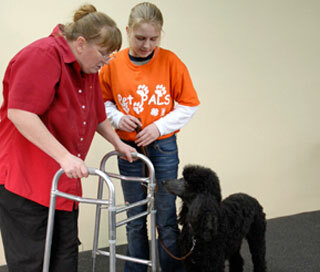 They also need to be able to process the visit with the 4-H PetPALS volunteer leader or the adult partner. Once 4-H members and adult partners successfully complete Step 9, recognize them for their accomplishments through this Step. Sample certificates are provided in the appendix of the curriculum.